Full Day with Picnic: leave at around 9.30am and return at around 4.30pm. This tour passes through attractive Berber villages in the mountains en route to the, partially restored, 12th century Tin Mal Mosque. 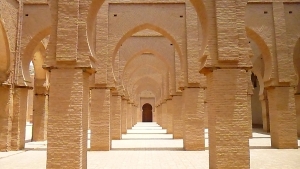 The mosque is a small architectural jewel from the Almohade period. Non Muslims are allowed to visit the interior. 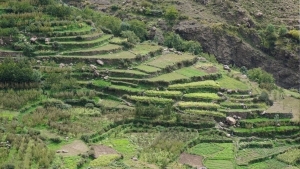 For the return leg, we discover the Imlil valley and admire the Berber villages clinging to the valley sides and apple & walnut trees that thrive at this altitude (1,700 m). 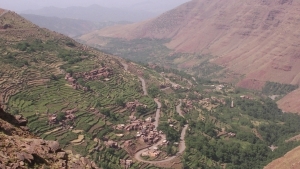 There are superb vistas towards Mount Toubkal (4,167 m). 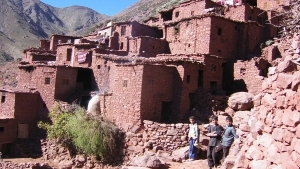 This tour includes a visit to the scenic Ourika valley and then into the mountains to the highest point you can reach by car in Morocco. We pass along the edge of the mountains until we reach the Ourika valley. We follow the river where we admire the Berber villages perched alongside the valley and continue until Setti Fatma village. You can opt to walk up a steep path to visit the seven waterfalls, though be prepared for drink stalls and carpet shops straddling the path! 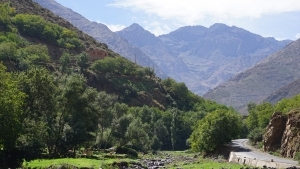 We leave the Ourika valley and pass into a much more tranquil environment. 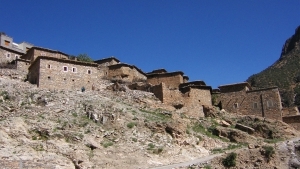 We take a spectacular road that passes traditional Berber villages and terraced mountain fields as it climbs up to Oukaimeden village at 2,600m. At the top there are fabulous panoramic views. 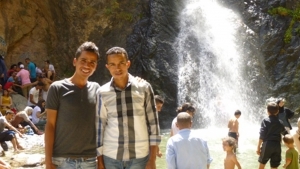 We return by the delightful Sidi Fares valley.